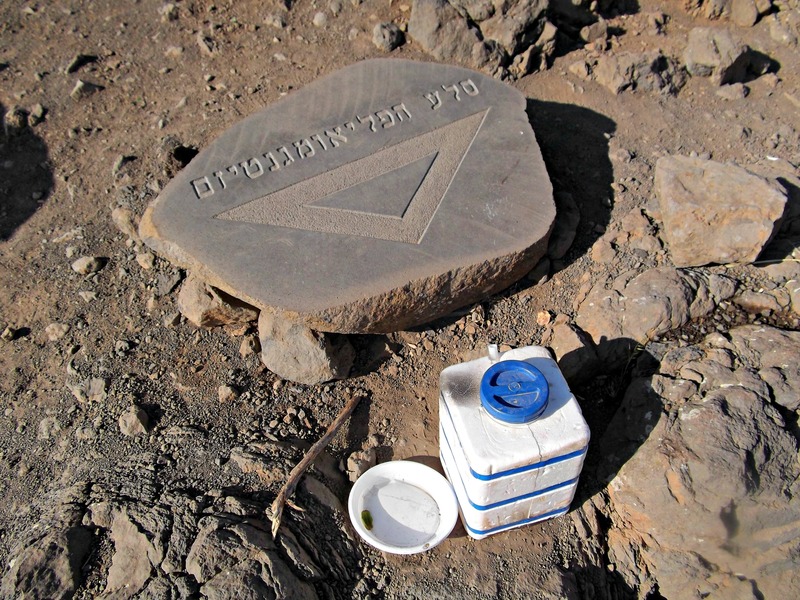 This blog post is about paleomagnetism found in a rock in the Golan, a natural phenomenon of reverse polar magnetism. The dictionary defines “paleomagnetism” as: magnetic polarisation acquired by the minerals in a rock at the time the rock was deposited or solidified. 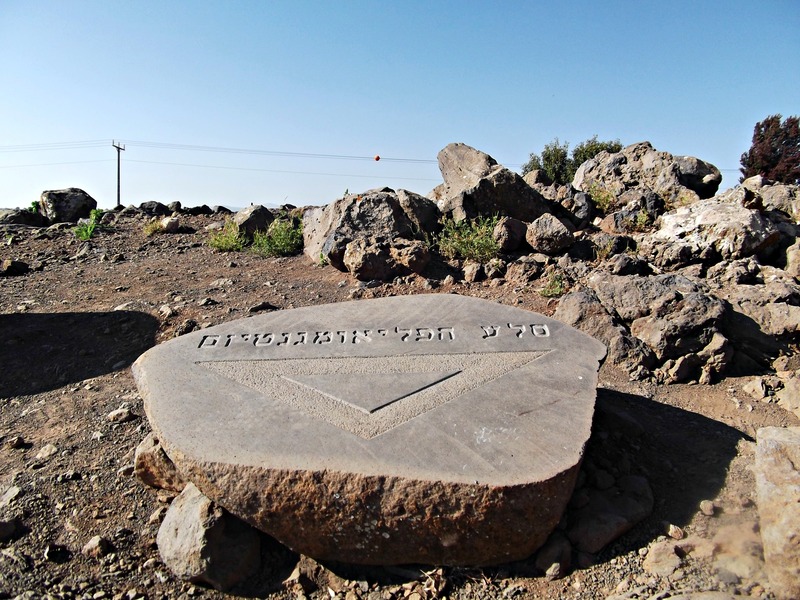 This site in the Golan, a rock on the side of the road between Wasset Junction and Mount Bental, holds an ancient alternate magnetic field and displays reverse magnetism – a compass will point south instead of north. 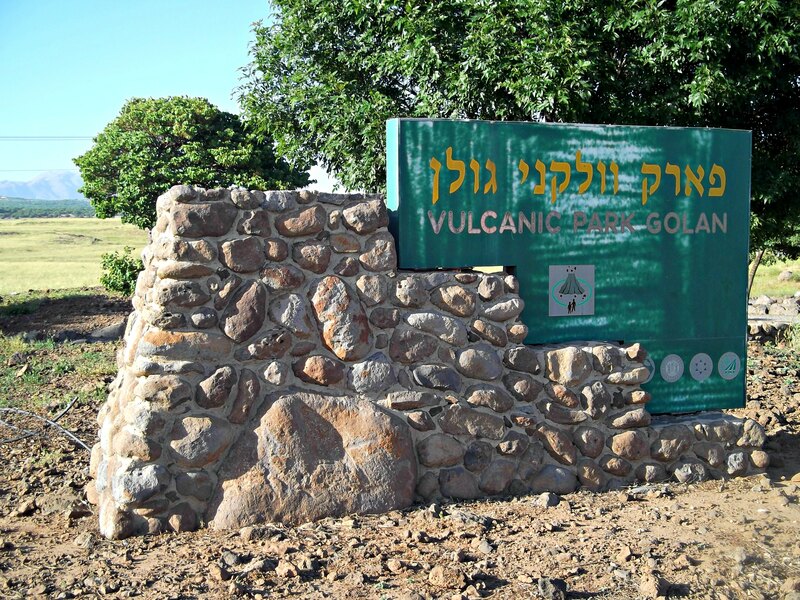 So, when I was driving by back in April and saw Vulcanic Park Golan I just had to stop and check it out for myself. Despite the fact that I had no compass with me, I got out of my truck and gathered up the ingredients to make a homemade compass. There is a scene in The Edge where Anthony Hopkins makes an impromptu compass and so the skill and know-how was passed on to me. I took a staple from some military documents and some water and walked over to the rock which is supposed to have the reverse magnetism. Setting up shop, I found a leaf and a discarded plastic plate to hold the water in. Fighting against the consistent onslaught of wind, I placed the plate down and poured some water in, creating a pool to float the leaf on. I then took the staple, straightened it out and tried to give it a magnetic charge by rubbing it against my hair some 60 times (turns out, rubbing the metal against hair just gives it an electric charge). With the staple charged, I placed the leaf and the “needle” down in the pool of water. Unfortunately, the wind just whisked the leaf to the edge of the plate, ruining the chance of a proper polar-magnetic alignment for my weak compass. Shielding the operation with my body, I tried again. And again. Eventually I realised that I could just float the “needle” on the water itself, the staple staying afloat due to surface tension. I tried that and got better results. However, despite the many attempts, I was never fully satisfied that the “needle” was, in fact, pointing south – like expected. I had read that sometimes the needle of the compass will spin crazily instead when placed over the paleomagnetic point. I don’t think that was achieved either. I tried different rocks, unsure which they intended me to use. Still, nothing scientifically solid. Disheartened, I left the park and carried on with my mission that day. The following day I drove past the park with a soldier from Golani’s “Egoz” unit. I told him about the site and he got ahold of an actual compass. We intended to drive back but in the end did not, so I shelved the blog post idea. 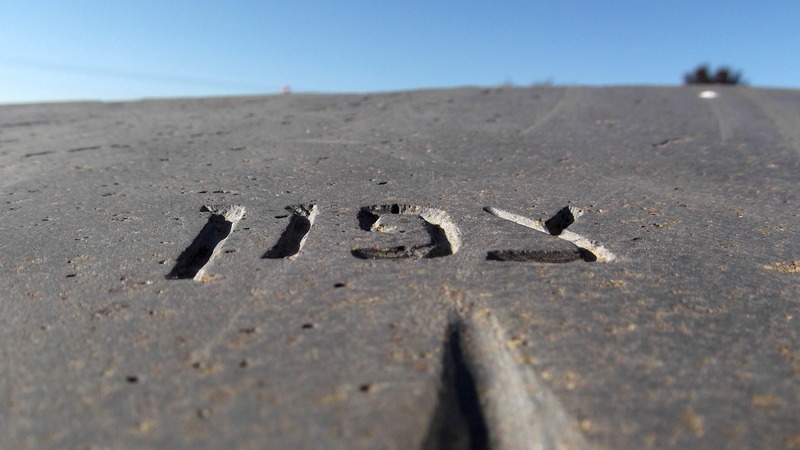 About a month later, I was up in the Golan and visited the site again – this time I had a compass packed in my backpack with me. 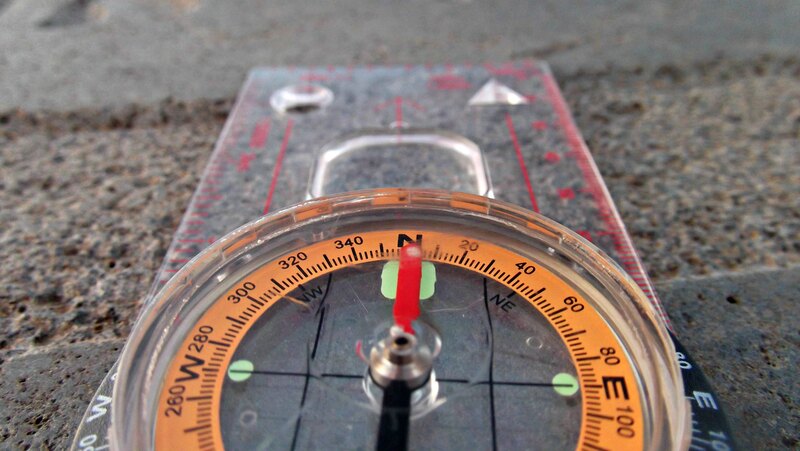 I walked over to the rock and placed the compass down, eager to see the results. I was disappointed. The compass pointed north, straight as an arrow. I tried the neighbouring rocks, I tried shaking the compass, I tried all sorts of things – nothing. It either pointed north or it didn’t point at all. So I turned to a blog post from MyIsraeliGuide.com that mentioned this paleomagnetic site and, in the comments, asked the blogger what his compass results were. He too could not confirm that the reverse magnetism works. And so, after two attempts to verify this natural phenomenon, I come up empty handed. I assume it has been verified by someone, or else they wouldn’t have built a park – perhaps one day I’ll try again and get favourable results. With that I leave you with this above panoramic photo of Mount Hermon and the lower mountains that lay at the Israel-Lebanon border, as seen at the Vulcanic Park Golan. You can’t magnetize metal by running it through your hair. Running things through your hair is a way of giving an object a static electricity charge (like rubbing a balloon in your hair and it will stick to the wall.) The only way to magnetize something is to put it into a strong magnetic field, either by rubbing it with another magnet, or by putting it inside a coil where an electric current is flowing. Yes, I just saw that in a video about that scene in The Edge. Apparently we as an audience have been duped by Hollywood into thinking “magnetisation” instead of “electricity”… Oh well. Thanks for commenting!